Plaintiff Elliot Ames was an orthopedic surgeon practicing with Premier Surgical Center, LLC. In 1999, he bought units in the newly formed company for $150,000. In January 2015, Ames announced his retirement from surgery to his patients. 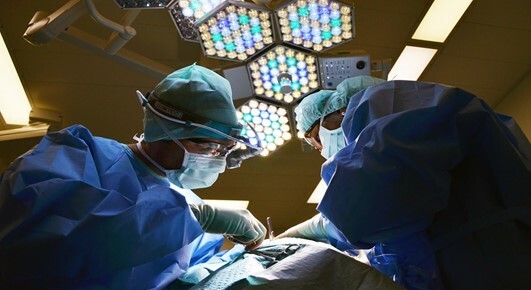 Under the terms of the operating agreement, an individual member could be “removed from the LLC” if he retired or failed to perform surgery on Premier patients. Ultimately, that is what happened and plaintiff was expelled from the business and the premises of the business. The ultimate source of the dispute was the value to be paid for the reacquisition of the interest. The Operating agreement provided for the repurchase of the shares for the amount in the departing members capital account, in this case $29.956. Ames demanded $1,213,513. The Operating Agreement also contained provisions for mandatory mediation and arbitration. Ames sought a TRO and injunctive relief, which the trial court denied. On appeal, the principal issue was whether the question of arbitrability – whether the dispute is subject to arbitration – was to be determined by arbitrator selected by the parties or the court. That issue was resolved easily under a recent decision of the New Jersey Supreme Court holding that the question of arbitrability is always one for the court unless the parties expressly contract to delegate that decision to an arbitrator. The Court then went on to find that all of the dispute was in fact arbitrable. The opinion makes a point that we see frequently in such cases about valuation amounts and procedures. Simply put, if there is a valuation provision in the operating agreement of a limited liability company, it’s going to be enforced unless there is some extraordinarily compelling reason for the court to void the contractual provision. It often seems like a good idea to use an easy capital-based value provision in the organization documents for a new business. I see it frequently when working on a business transition, litigated or negotiated. The purchase of the departing member’s interest may be based on book value (assets less liabilities) or capital accounts. But these measures do not include any payment for the good will that in many small businesses is where the real value lies. The result, not infrequently, is litigation because the buyout number is only a fraction of the ongoing value of the business. The departure often represents a windfall for the members who stay behind – and this is particularly true in cases of retirement or death – because they acquire the departing member’s share of the good will without having to pay for it. No surprisingly, these cases are likely to end up in litigation. It’s all part of the truism that you don’t marry to get divorced. New businesses are often loath to fully consider the fairness of the exit rules they have formulated, if any. The Courts, meanwhile, are understandably hesitant to undo any contract between the principals of a business, and this is particularly true of limited liability companies.